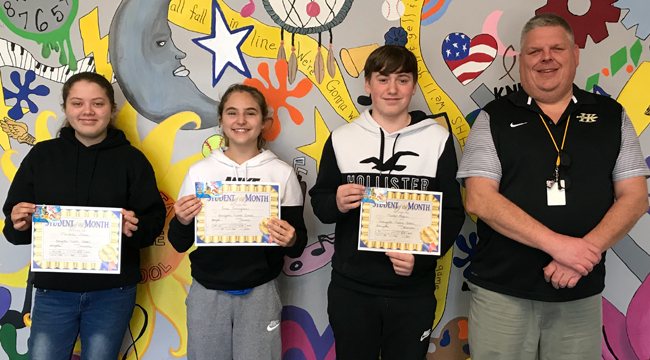 A trio of happy Henryetta Middle School students are all smiles as they show off their Student of the Month certificates today. Receiving the honor are Emma Cunningham, sixth grade; Mersadie Woods, seventh grade and Nathan Logan, eighth grade. With them is HMS principal Brad Wion.